Notes: In 1235 William de Marisco was implicated in the murder of Henry Clement, a messenger of Henry III. Three years later, an attempt was made to kill Henry III by a man who later confessed to being an agent of the Marisco family. 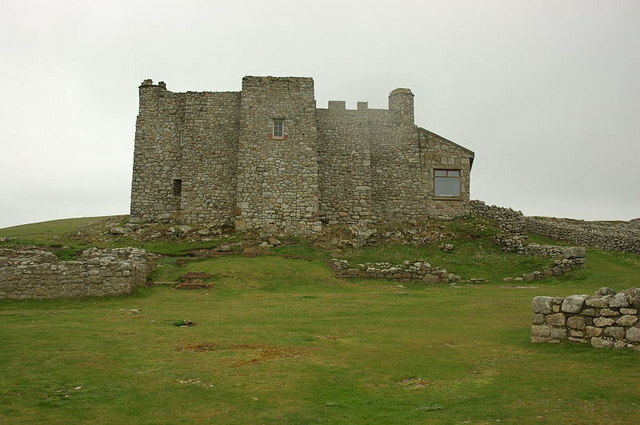 William de Marisco fled to Lundy where he lived as a virtual king. He built a stronghold in the area now known as Bulls' Paradise with 9 feet (3 m) thick walls. In 1242, Henry III sent troops to the island. They scaled the island's cliff and captured William de Marisco and 16 of his "subjects". Henry III built the castle (sometimes referred to as the Marisco Castle) in an attempt to establish the rule of law on the island and its surrounding waters. At some point in the 13th century the monks of the Cistercian order at Cleeve Abbey held the rectory of the island.